These are just a few of the statistics the website gives. Both the states Oregon and Alaska had some of the lowest high school graduation rates for AI/AN youth at 52% and 51% respectively. AI/AN students make up 20% of the student population in Alaska, and as someone who grew up in the state of Alaska, it is impossible to ignore such a large percentage of the population who is being so greatly left behind by the educational system. An article from the Huffington Post lists many reasons for these disparities, including lack of materials that relate to the students’ cultures, the presence of culturally-insensitive images and stereotypes in schools, and over-representation of AI/AN students in high schools lacking education that may prepare them for careers and/or college after school. There are some programs in place that are trying to combat these disparities. One is the Alaska Native Science and Engineering Program (ANSEP). The name is pretty self explanatory- it helps students be prepare to receive degrees in that would allow them to go into STEM careers. The program lists several goals they wish to have every high school student accomplish such as “completing biology, chemistry, physics, trigonometry, and Calculus 1 before high school graduation” and “teaching another student how to build a computer” – pretty impressive goals for any high school student. After they enter college, they continue the University portion of the program. The Dream Act right now! A few years ago I met a young teen named Luisa. Luisa, one of the many teens that helped with summer camps, had a knack for working with kids. With each passing year, Luisa flourished more and more. On her last year as a counselor, as we sat overlooking a wetlands, I asked her what her plans were for after High School. She looked at me than looked down at her hands and sighed. Like so many undocumented teens that were brought here at a very young age, Luisa saw a dead end. To Luisa, her dream was blocked. I begin with a personal story because I wanted you all to understand the magnitude of what so many young teens in our education system have had to face. Throughout these past few weeks, we have discussed the evils of assessments, the pros and cons of charter schools and the opportunity gaps abound in our schools. We as educators have worked with students to ensure that they have a future beyond schools, yet they are faced with barriers that are far beyond our control. 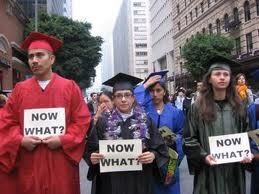 For so many undocumented young adults, that path is blocked. The Dream Act, (Development, Relief, and Education for Alien Minors) would be a pathway to higher education, military service and the potential for permanent residency for those whom do not have legal status in the US. While stalled on the Federal level, many states have pushed to enact versions of the Dream Act themselves, helping to break down the walls that block the passage to higher education. One aspect of this has been providing an equitably pathway to higher education by enabling undocumented students to pay in-state tuition. Thanks to the passage of House Bill 2787, this fall (2013) Luisa began her first term as a Portland State University Viking. But this isn’t enough. As tuition continues to rise, how can we ensure tuition equity for all people? National student lead activist groups like Students for a Democratic Society have launched a national push demanding education rights for undocumented immigrant students. With chapters at Pacific University and Lewis and Clack College, it’s time to take action on our own campus as education rights for all is part of a larger piece to the immigration puzzle. Inching closer to the goal of tuition equity for undocumented immigrants, a new program was launched. Known as The Dream.US, Elise Foley of the Huffington Post writes, “The new program, called TheDream.US, will allow many to attend college when they otherwise wouldn’t be able to afford it. The effort from TheDream.US will provide scholarships for a variety of schools, including private ones, that have work-related programs and good support systems to help Dreamers stay in” (Foley, 2014). With the Dream.US, this has become a reality for so many undocumented young people who hope to attend college. I urge you, if you want to continue to have faith in humanity, do not read the comments. This is a contentious topic that always brings in toxic racial epithets. And if you as fired up as I am, check out the above Facebook link to get involved with SDS (Students for a Democratic Society).